All our pilots are professionals and fully qualified by the aviation authorities. 3 aircraft are available : 2 Cessna (C172 and C182) and a Piper PA28. We operate 7 days a week all year, from 08h00 to 20h00. 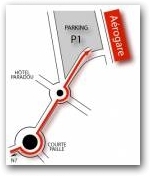 Several departures a day from Avignon Airport, by reservation only. All our flights are confirmed on the day by the pilots according to meteorological conditions. Headphones are provided so that you can hear a running commentary of your journey by the pilot. Photos of the sites overflown via email. We want to do everything to make flight AN UNFORGETTABLE MOMENT! 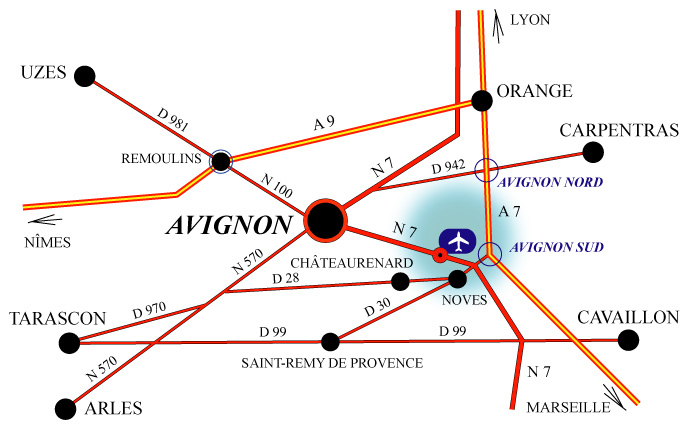 Avignon : follow direction Marseille (N7). From autoroute A7 : exit Avignon-sud then follow direction Avignon. 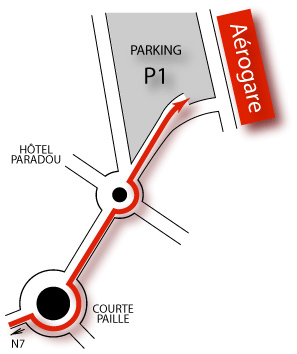 Park your car in parking P1, a pre-paid ticket will be given to you when you leave. Go to our Welcome desk in the airport which is to the right of the Air France counter. Click on the picture to enlarge, then click right or left on the picture to view album.